Come explore One West Broadway, where luxury downtown living meets an exceptional location! In this week’s blog, we’re going to highlight the beautiful apartments and amenities available here at One West Broadway and why it’s the perfect place for you to live! Whether you work downtown, attend the University of Arizona, or want to be where the action is, the homes we offer are in a convenient location central to all of your needs! Check out the floor plans for our one-, two-, and three-bedroom homes! Choose suites from 817 to 1,604 square feet and find the right apartment with all the space you want! Check out our photo gallery or take a virtual tour of our stunning property and witness for yourself what you’ll have access to as a resident of One West Broadway! Picture yourself in our gourmet kitchens with stainless steel appliances and a large island. Or imagine yourself taking advantage of our apartment community fitness center, lounge, or rooftop deck. We also provide online payment plans, access controlled garage parking and entrance for your convenience. Our location is near a modern streetcar line, helping to make navigating Tucson easier. 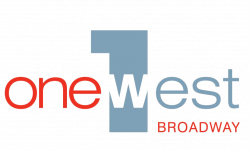 Don’t miss out on a great Arizona apartment living experience at One West Broadway. Contact us or apply online to secure yourself a spot at One West Broadway! A beautiful home and a great community in the middle of downtown await you! Don’t wait, come and see these amazing apartments for yourself.